During my Vietnam trip, there were storms one after the other, with floods hitting north-central regions of Vietnam. I was in the south, luckily having started my trip in Ho Chi Minh. I waited with prayers for the weather to clear. Because Hoi An was the town that I didn’t want to miss traveling at all. 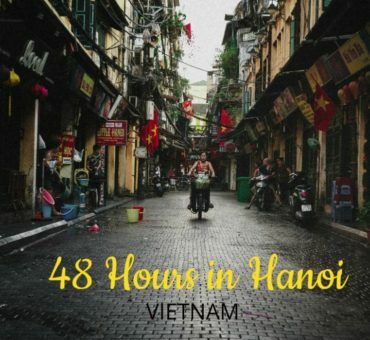 I got lucky and I did travel to Hoi An, and ended up staying for more than a week! 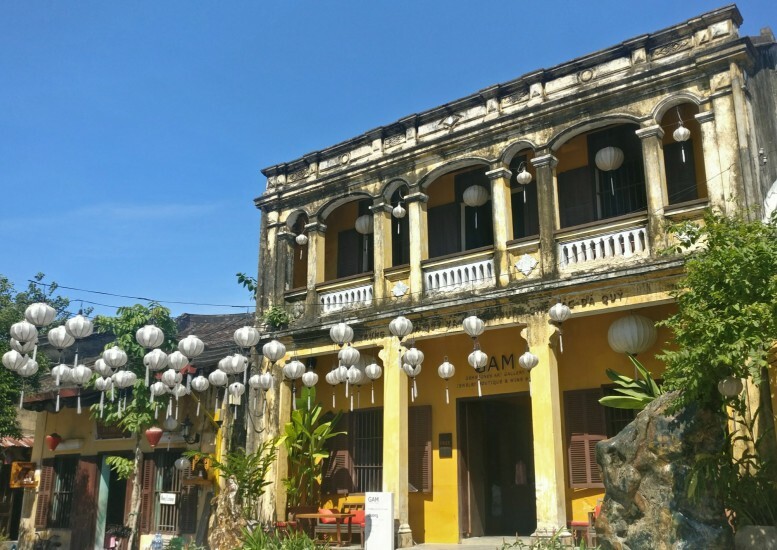 So I have things to share with you on Hoi An, but let me first take you through the most Instagrammable places in Hoi An! I made sure that I stayed in the ancient town of Hoi An because that’s the best part of the town. If you ask anyone who has traveled to Vietnam, they would never miss saying that they loved Hoi An. Such is the charm of this city of lanterns. 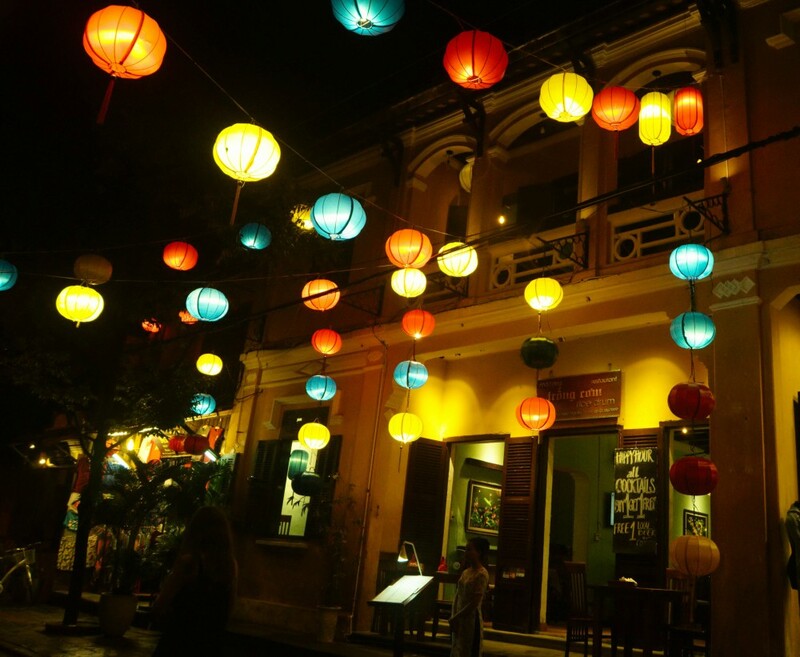 Throughout my stay in Hoi An, I felt like I was in some fiesta that never seemed to end. 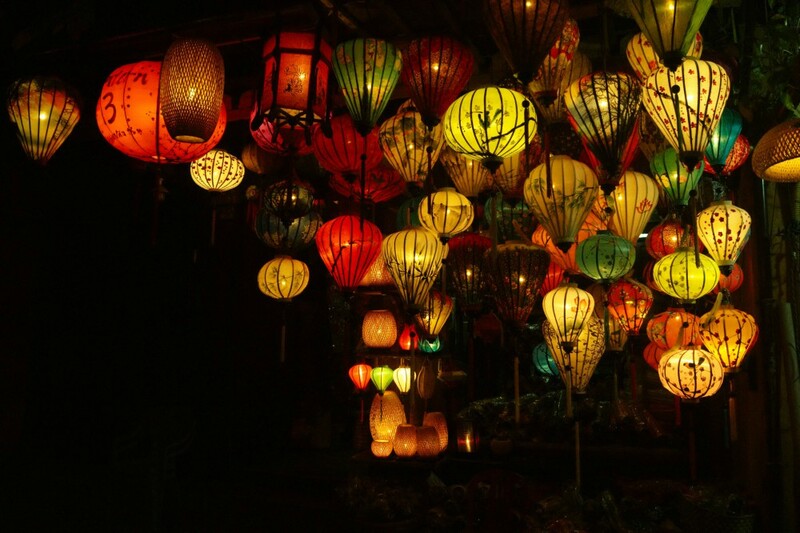 Hoi An is a riot of colors, and in the night, you feel transported to the old town. The vibrant lanterns deck up the walking streets, while the boats let you float candles on the river. Vietnam’s art, souvenirs, and paintings welcome you in the night market. 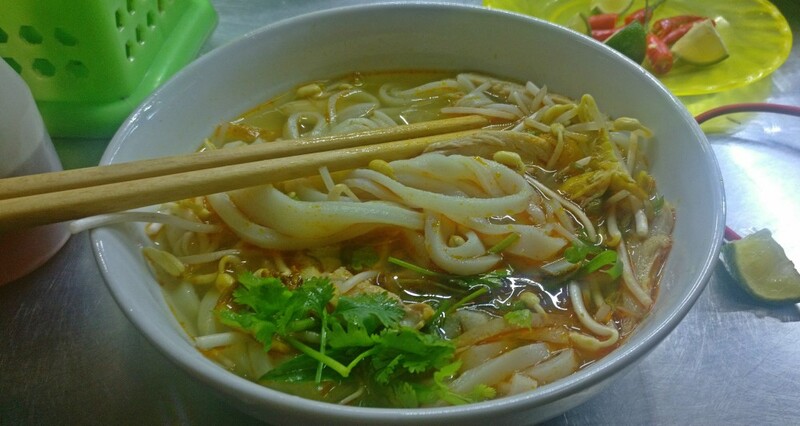 And from morning until 8 PM every day, you can’t miss the aroma of Vietnamese cuisines that’ll seduce to the food market. I’ll let the pictures do the talking from here. Whether you are someone who loves capturing or you stay away from Instagram, you should check these photos for sure. 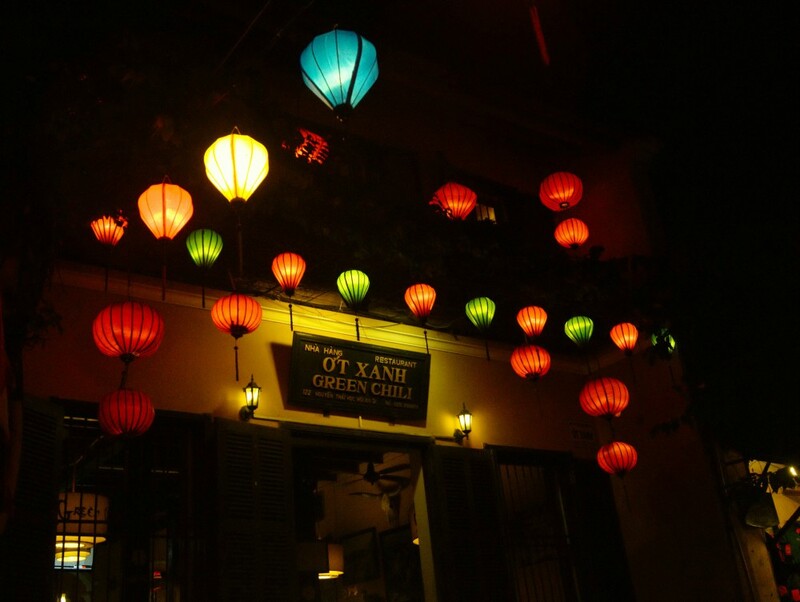 So, here are the most instagrammable places in Hoi An! 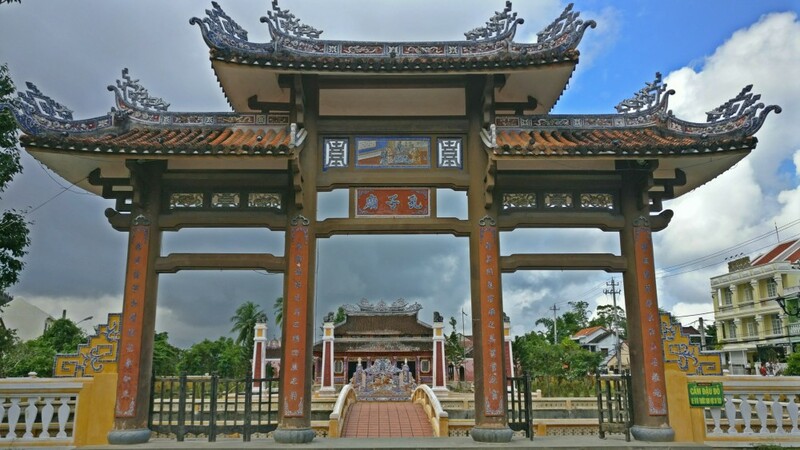 Hoi An is like any other town of Vietnam. Or that’s what you feel when you step out of your train/bus. But wait until you land in the old town of Hoi An. 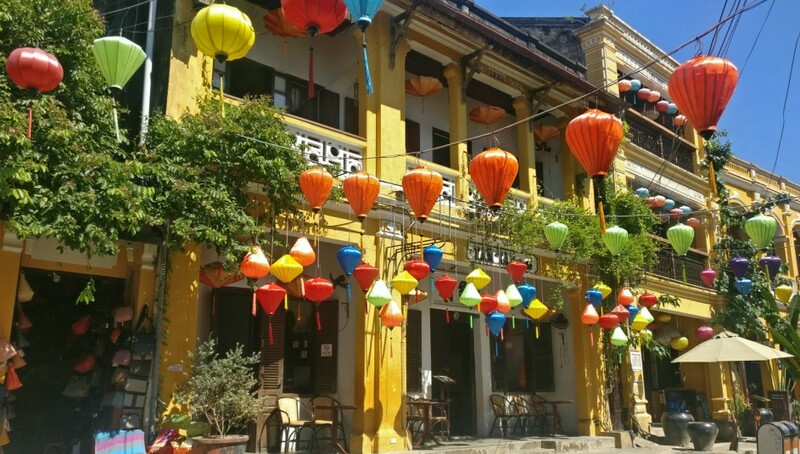 Once you pass through the majestic architectural buildings, streets adorned with lanterns, pagodas and traditional markets, you’ll soon forget the modern Hoi An. 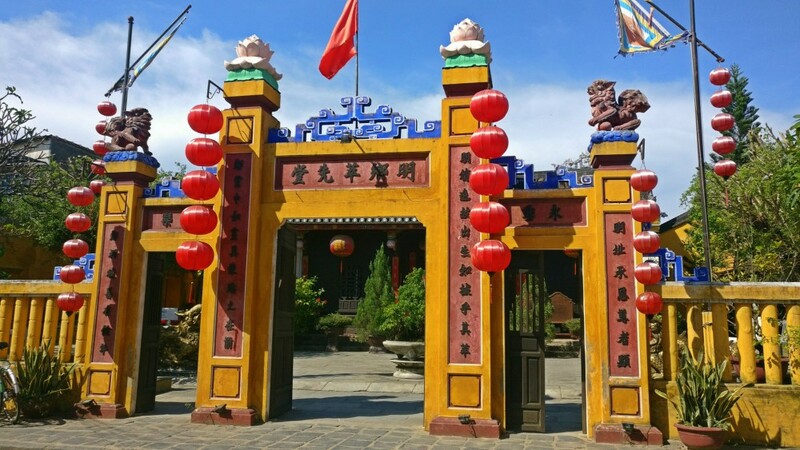 Hoi An ancient town is Vietnam’s largest and the most popular site listed on world UNESCO heritage sites. Locals and the tourism board have taken great care to keep the essence of the town intact. 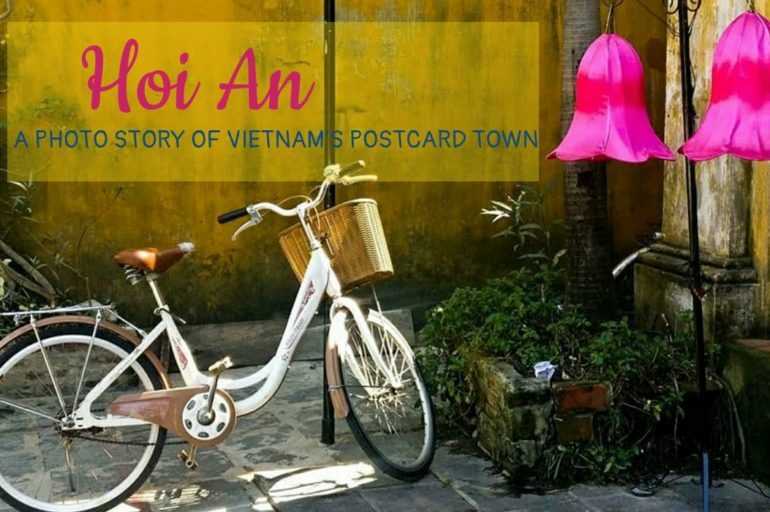 This is a commendable feat considering the volume of tourists that visit Hoi An every year. 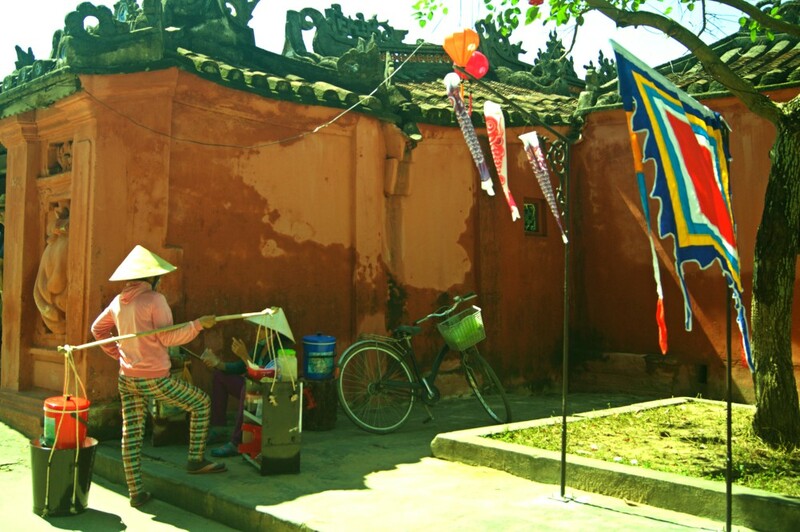 Allow me to take you through some of the sites and stories of this marvelous old town of Hoi An. This old temple is just outside the ancient town, and as I was driving out of town, I noticed the simple yet elegant style of this pagoda. It was closed and I couldn’t get the name of this place, but it does look lovely for sure. Isn’t it? 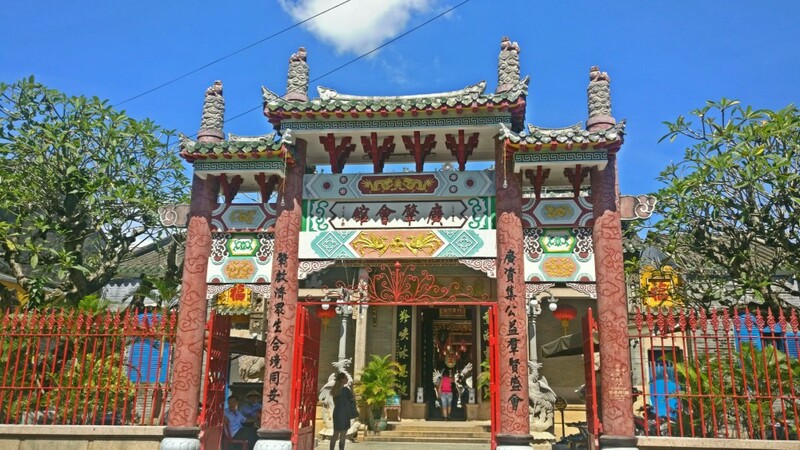 Below is one of the local assembly halls in Hoi An old town. The ancient town has at least 3 assembly halls, and all of them were prominent locations during the imperial rule, where royalty would conduct sessions, debates and more. 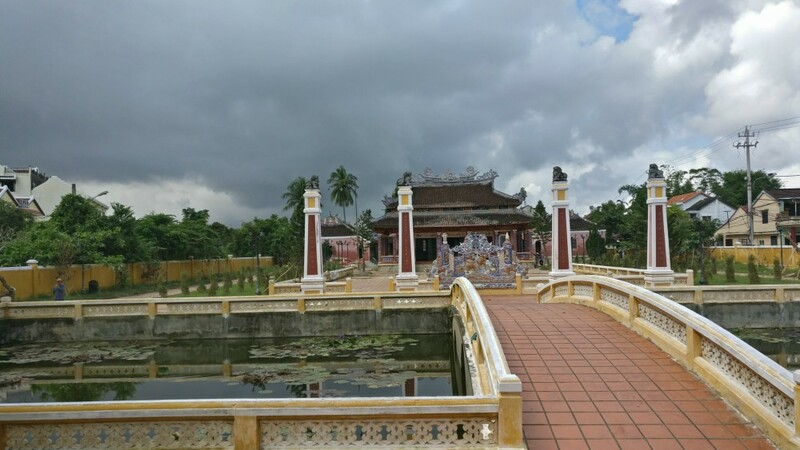 Above is the sacred temple Hội Quán Phước Kiến, which is one of the biggest temples around in ancient Hoi An. Located close to the Japanese bridge, it is a revered place for the locals. And a photographer’s delight. The bright crimson red all over only adds to the opulence of this pagoda, where you can find sacred chants painted over the walls & doors. 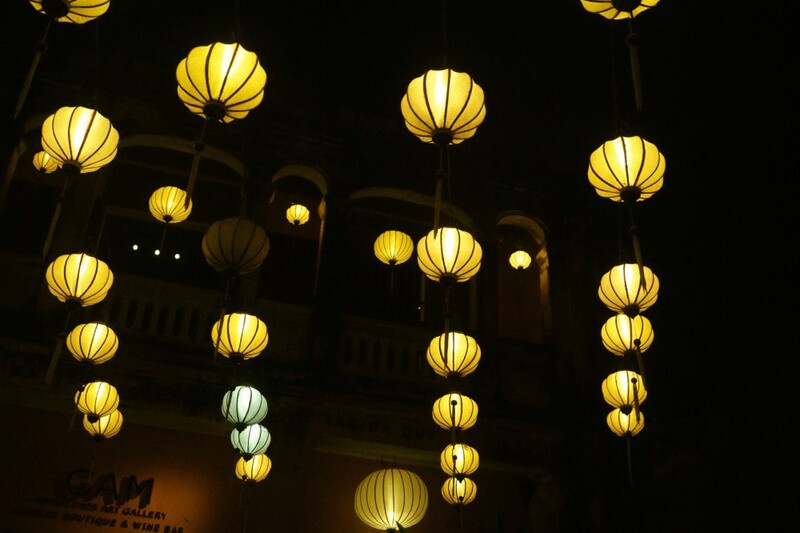 If you think that these vibrant lanterns are up for some fiesta, I wouldn’t blame you. Because this is how the streets look. every. single. day. Yup, it feels like walking through some carnival during the day and even merrier when these are lit at night. And the above building is one of the many pretty cafes in the old town. Ordering a scrumptious mango smoothie here on a hot afternoon to cool off is not a bad idea at all! Because if you have walked all day like me, that’s what you would feel like doing! There are many tricycles that take you around the walking streets if you don’t prefer walking. These locals don’t charge much, and they have a lot of juicy stories to share with you as they take you for a ride. So you can opt for these rides one of the days you are in Hoi An to give a break to your legs! The quintessential Vietnamese hat used to be the first thing that would come to my mind, every time I imagined the people of Vietnam. 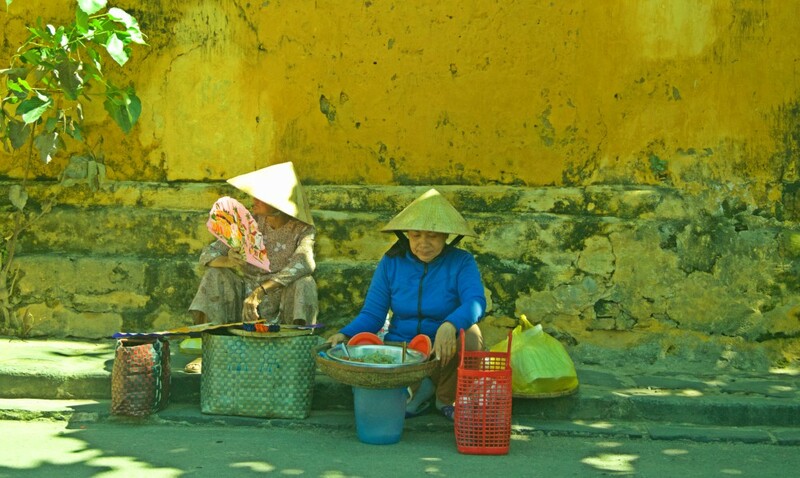 Blame it on the sheer number of pictures that I saw online, but this image of a Vietnamese going about his/her business with a tapered hat will still be the first picture that I can think of. I didn’t get back one home, but I just loved this traditional hat which is so characteristic of Vietnam. Here are some shots of the lovely and warm Vietnamese people. The scorching sun didn’t mean a thing to these two elderly women on the street adjacent to Japanese bridge. They cooled themselves with the hand fan as they explained the items they sold patiently. Most of them were curious onlookers, especially foreign travelers asking them many questions. But that didn’t seem to matter to these gracious ladies, who even allowed me to click them. There was a 3-day cultural fest in Hoi An during my travels, and watching them became my favorite pass time on all the three nights. 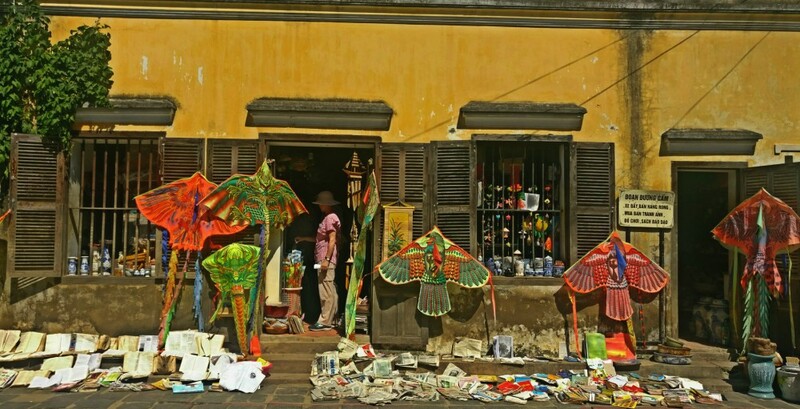 The already vibrant Hoi An glittered with the mask dances and theatrical performances. The mercurial energy of the performers donning colorful costumes was fun to watch and so was the melodious music. 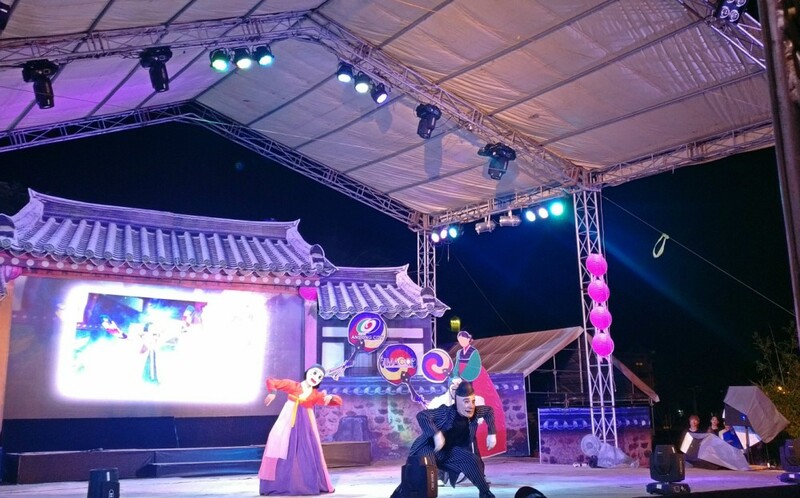 Although I didn’t understand a word of it, witnessing a cultural folklore is the best thing for a storyteller like me! If cheap but delicious street food is what hunt for during your travels, much of SE Asian countries will keep you spoiled. 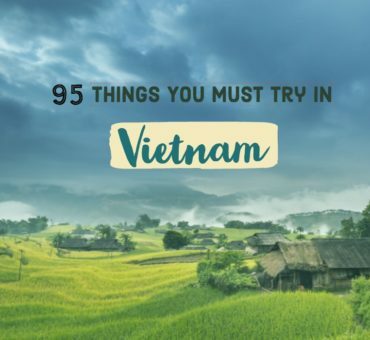 And Vietnam is no exception. 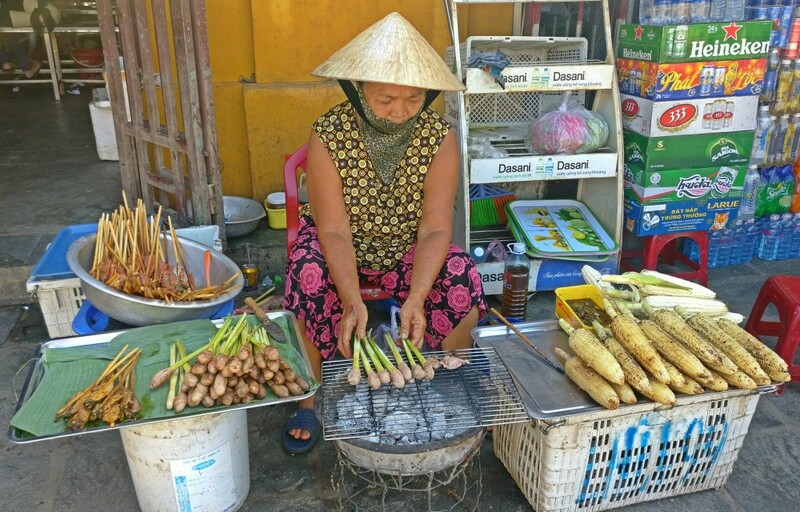 Except that you’ll see the vendors wearing the ubiquitous Vietnamese hat while doing their BBQ perfectly, like this lady below. She was so focused and methodic that neither the crowds nor the photographers like me were able to distract her. Only when I approached her to buy corn did she look up. And the look on her face when I showed her candid shot and asked her permission (yup, after I clicked, as I wanted a candid shot!) was priceless. 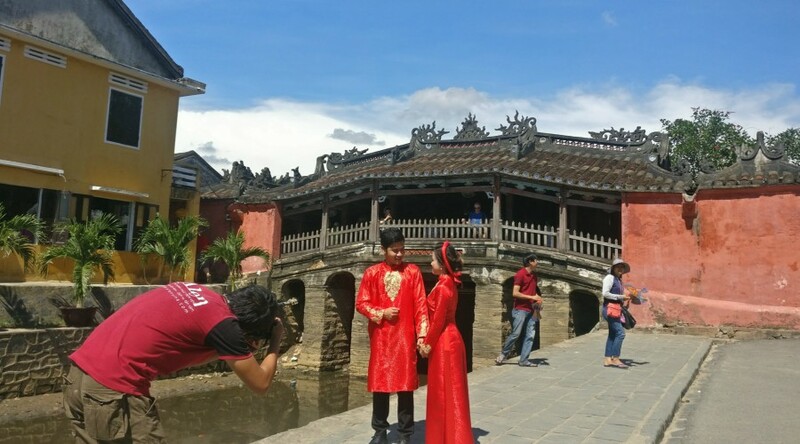 Behind is the iconic Japanese cover bridge, one of the most photographed attractions in Hoi An. There wasn’t a single day when I saw the bridge to be empty! Always buzzing with people, it is a tough task to secure a spot on the bridge if you wish to click or get clicked. But what caught my attention more than the bridge was this lovely couple. Dressed in traditional red, they smiled and gleamed, so much in love as the photographer clicked away their expressions. The shy bride and the sweet groom was a perfect combination. I joined the scores of people to capture their intimate moments as well when the couple voluntarily agreed. 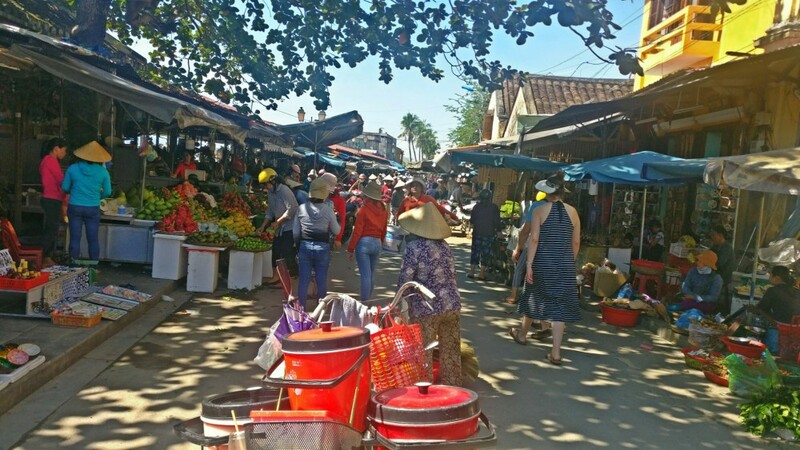 If you ask the locals where the market is in Hoi An, they’ll typically direct you to the place where fruits, vegetables, seafood, and many other things are sold. Next to a canal is this centre, which has been around for hundreds of years. It is highly active from early in the morning until the night. If you are planning to buy some cute souvenirs, go a little ahead of the meat selling area. And the cross roads also have awesome collectables, like this shop above. If you take a detour in one of the streets, you’ll find an old building, around which there are more food shops. Inside the building, you’ll find scores of Vietnamese women selling amazing local food. From desserts to seafood, you get everything here. All of it is homemade, tasty and cheap. Plus, they arrange cooking classes as well. So if you like any of what you try, you can learn how to cook that dish as well. Pretty cool, right? I tried the traditional Pho, a few appetizers, smoothies and salad, and loved all of them! 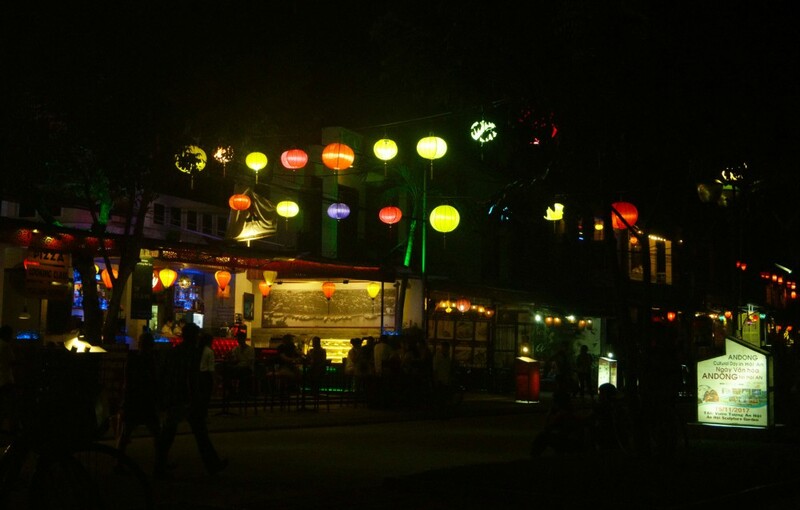 I couldn’t help categorising to describe the vividness of Hoi An at night. It is the time when all the lanterns that you adored in the day come into life. 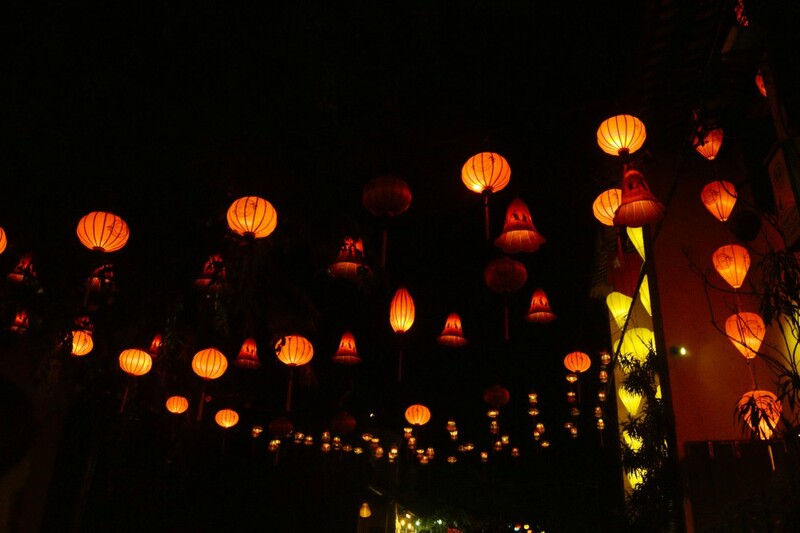 The whole of ancient town is soaked in the light of these lanterns. Little red ones, swanky purple hung in the corner, rounded-bright red ones that make any place look enigmatic or the golden yellow lights – the show stealers as I call them. At every turn and corner, you’ll be besotted by these hand-made lanterns. From simple tiny ones to the flamboyant silky lantern dotted with floral work, you’ll be dazzled at the artwork. And you can buy some of them as well since they can be dismantled. But take enough care to wrap it properly if you are buying! 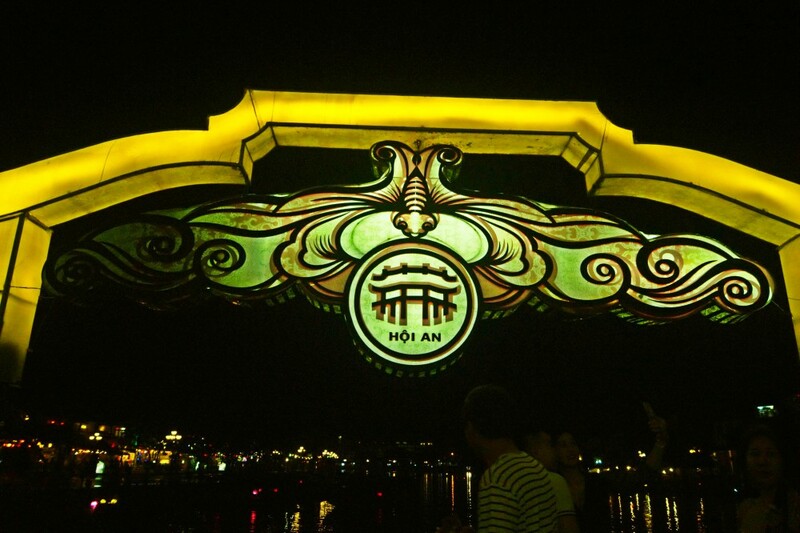 Above is the picture of the iconic bridge across the river that separates ancient Hoi An town. If all the attractions and the main town are one side, cross over to the other side for the night market and some exotic restaurants! One of the cafes adjacent to the night market, and below is one of the lantern shops. Don’t get carried away if you go on a buying spree. It is better to ask around the prices. I was surprised when someone quoted a price double that of his neighbour for a lantern! And yes, please haggle well! One of the popular restaurants on the riverside. Most of these places get full as the night sets, with people occupying the tables overlooking the river. Given the stupendous light show, who wouldn’t mind having a dinner, right? So reserve your table in advance or arrive early for the best night! 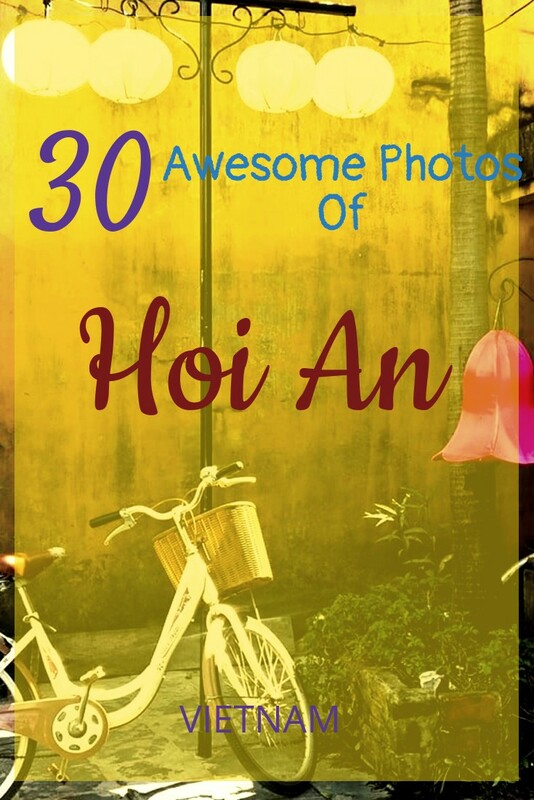 I found it extremely challenging to siff the best of Hoi An’s photos for this post. Because they were too many wonderful things that I captured. But I finally cut them down to these! Head over to my Instagram in the coming days for more shots of Hoi An. Dalat: Why This The Most Chic Hill Station In Vietnam! How To Plan Your Trip To Vietnam’s Best Caves in Phong Nha? Ninh Binh Is The Place For Vietnamese Countryside!